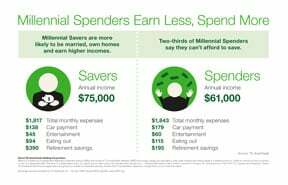 (NewsUSA) – Sponsored News – What does it take to make a millennial happy? At least $51,000 a year in income, for starters. 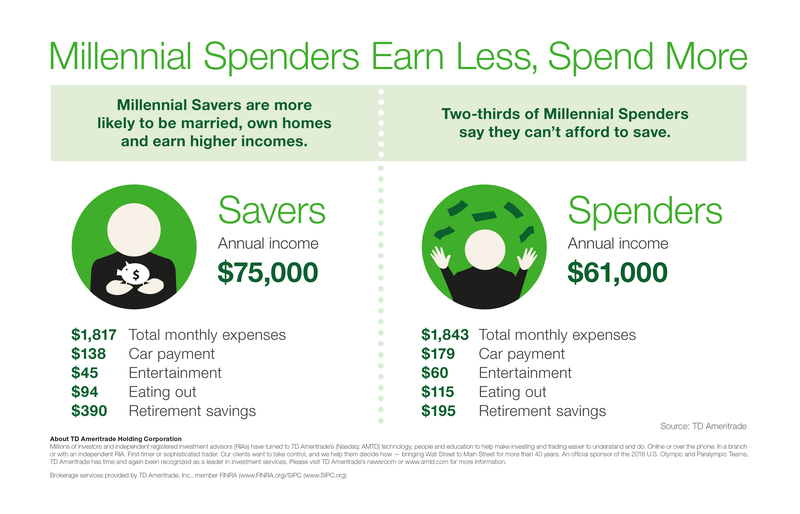 That’s just one of the findings of the new TD Ameritrade Millennials and Money Survey, which also breaks down those born between 1981 and 1997 into two distinct groups: “savers” (those with average annual incomes of $75,000) and “spenders” (those with average annual incomes of $61,000). And while most spenders say they can’t afford to sock money away for a rainy day, part of the reason may be that they turn out to be paying more for the same budget items -; i.e., car payments and eating out -; than savers.